We've posted PDF versions of four past issues of Wing & Wing, the newsletter of the ASA, to the W&W Page of the Members Area. We'll keep working on digitizing and posting archive copies to this page, and will keep you updated with our progress. If you are a member of ASA be sure to register so you have access to this resource. If you aren't, please join! 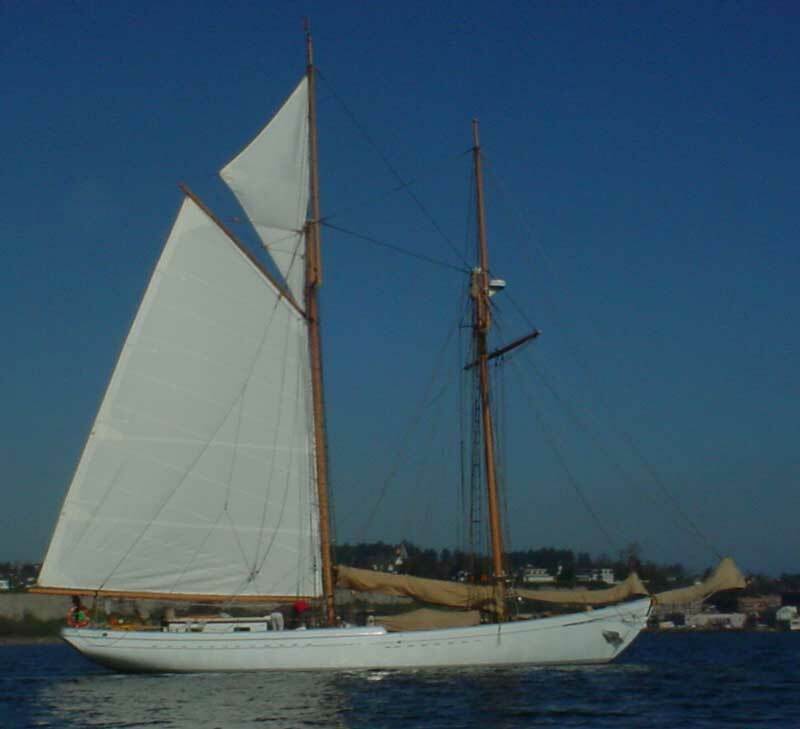 This sail was built for the Bob Prothero-designed and -built 65' Schooner "Alcyone" of Port Townsend. A mismeasurement on the throat-to-clew diagonal dropped the boom to the boom crutch! The sail is beautiful as you can see from the pictures. All traditional in its finishing: hand sewn boltropes, rat tails, hand sewn rings, cringles, etc. It sets beautifully but is just a bit too long for their boat. The sail is built out of 10.46 oz. Contender Low Aspect Dacron cloth: a high quality, premium cloth. 2 Reefs, 4 Battens. Has hand sewn eyelets for lacing along Luff and Foot. 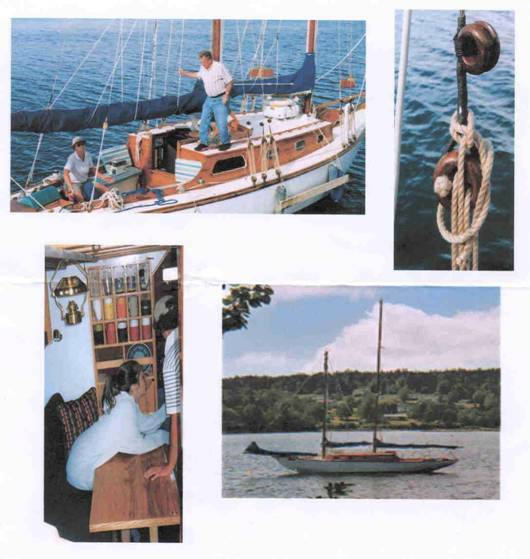 38' Pine on oak, Hereshoff schooner. Built in 1962 by Erwin Stevens in Southwest Harbour, Nova Scotia. Trophy winning racer. Complete refit in 2002. Mint Condition. A beautiful boat for cruising or racing. Rerigged in 2002 by Richard Rhodenizer. Lignum Vitae deadeyes by Arthur Dauphinee. Profurl furler on bowsprit for ease of handling. All new halyards and sheets. Five winches, three are new, self-tailing. The Annual Meeting will be held in the River Room on the 1st floor of the Seamen's Inne Restaurant & Pub, 105 Greenmanville, Ave, Mystic, CT (860-572-5303) on the first Saturday of February (Feb 4th). Accommodation for those wishing to stay over has been arranged at the Mystic Best Western Sovereign Hotel located just off the highway at 9 Whitehall Ave.